Photographs from Aly Morrison's and Dave Andrews excellent World War One demonstration game which uses the Warhammer Historical rules and was on display at GamesDay 2007. 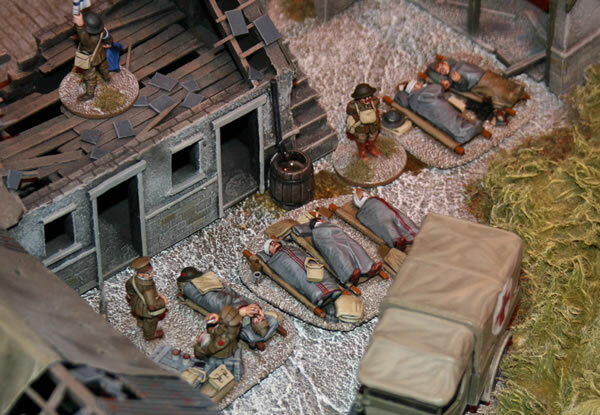 The game was full of wonderful details and well painted miniatures and excellent scenery. I spent ages looking at it. 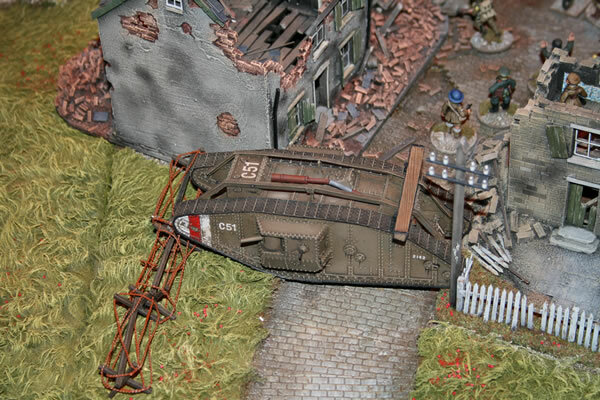 Mk IV Tank Male slowly trundles forward crushing the barbed wire obstacles in its path. 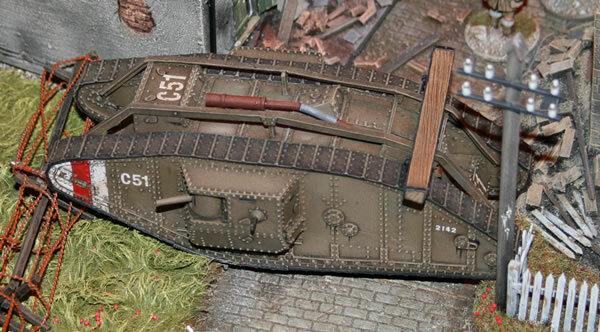 It's a well painted tank, excellent weathering. 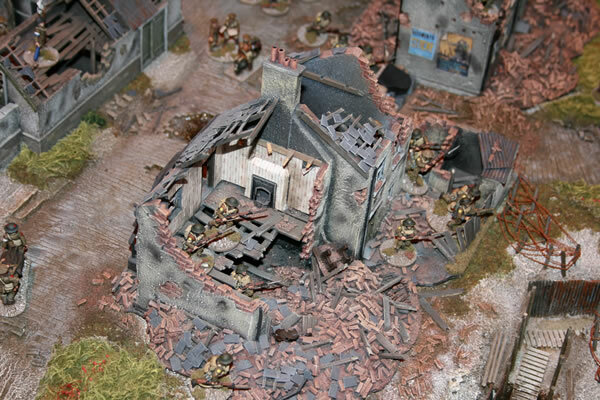 British Infantry advance through the ruins of a French village. 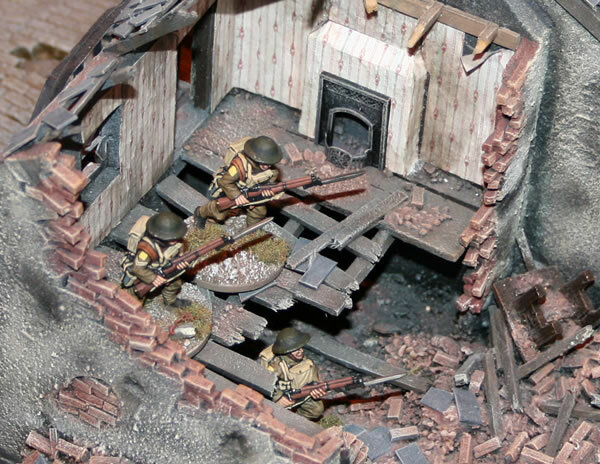 It's the eye for detail which makes the scenery do well done, here the interior has not just been modelled, but ruined in a realistic manner as well. It was all the little details that made the game for me such the wonderful details. Such as the wallpaper and the fireplace inside the ruined building. 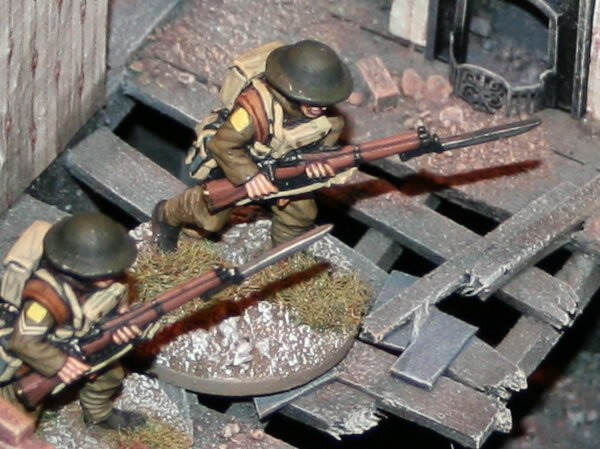 ...and it wasn't just the scenery which was fantastic, the miniatures were well painted as well. 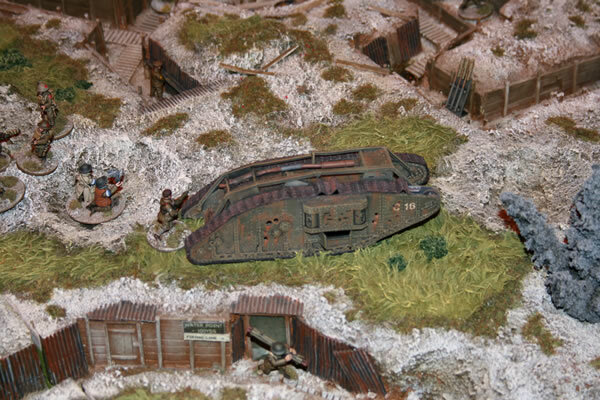 The remains of a previous battle litter the area, this tank will fight no more. 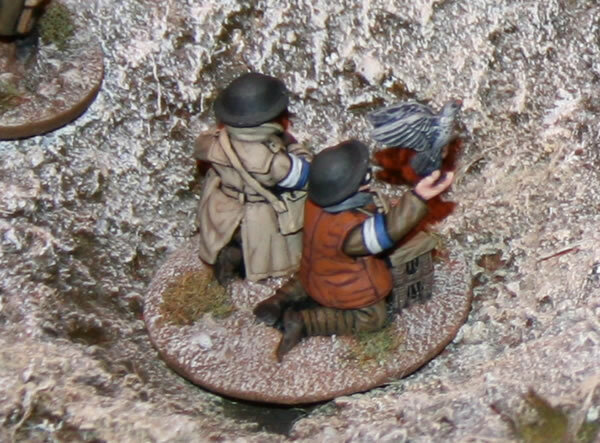 Again it is the little touches, here an artillery spotter releases a homing pigeon. Field First Aid Station tenders to the injured complete with Ambulance.